Sylvester Stallone has announced that he'll be sharing images from Rambo: Last Blood in the coming weeks. To start, the actor offered up a brand-new photo from the highly anticipated sequel, which shows the iconic hero on a horse tending to his ranch. The photo is in black and white, which is the way that Stallone is going to present the upcoming images, but promises that the movie will very much be in color. He had this to say. "Every few days until the movie comes out I'm going to post images from the upcoming Rambo. See if you can follow along with the story using your imagination. All of the images that I post will be in black-and-white, but the film will be in dramatic color..."
Sylvester Stallone has become an avid social media user over the past few years and has given fans a very cool look into his creative process for his last several projects. Rambo 5 recently wrapped principal photography and Stallone will more than likely be needed for some reshoots before the fall release date. As for how we'll know, the actor will probably keep us alerted on social media, like he did for Creed and Creed 2. Looking at the latest Rambo 5 image that Sylvester Stallone shared, there's not much to take in, other than the fact that it shows the character in his ranching days on a horse, before the action goes down. The actor says that he's going to continue to share more images until the movie is released, and asks us to use our imaginations while trying to put the story together in our heads. While it seems simple, it's a really neat way to keep fan engagement high. Speaking of fan engagement, Sylvester Stallone recently posted some video on his Instagram account of him training the great Robert De Niro in the boxing ring for their 2013 comedy Grudge Match. Stallone is taking De Niro through some boxing choreography for the part, and it's really cool to see. Both actors are focused on each other as Stallone explains what he's going to do before he does it, stomping his foot as he pretends to land a strike on De Niro for maximum impact. De Niro concentrates on Stallone and bobs and weaves his way through the faux attacks. Sylvester Stallone is currently riding high off of the success of Creed 2, which he says will be his last installment with the Rocky franchise. 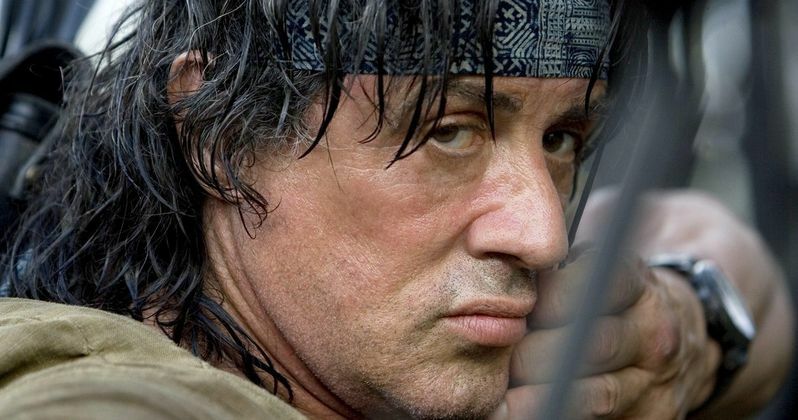 Many believe that the actor will stop with the John Rambo character after Rambo 5, but he has yet to announce that at this time. Whatever the case may be, Stallone has carved out quite the career for himself over the years with hard work and discipline, which is obviously something that he has never given up on. You can check out the latest (and first of many) image from Rambo 5 below, thanks to Sylvester Stallone's Instagram account.